When the powder is worked into the carpet fibers, the moistened sponge-like granules lift soil and stains out. Within 30 to 60 minutes, the powder is dry and is removed by vacuuming, leaving the carpet or upholstery clean, dry and ready for use. 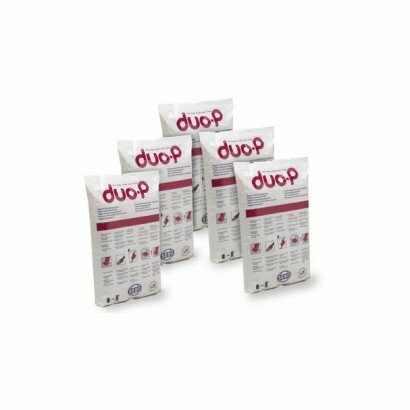 And the GAF allergy research center in Germany found that six months after a single cleaning with duo-P, seven out of ten carpets remained free of dust mite allergens.